Here we need to click on the red icon under ‘audio clip’ on the same line with ‘Lalit’ appearing in the table. It however appears to me that the ‘Lalit’ under this audio clip is shortened by a few seconds or may be ½ a minute from the actual length of what I have in my audio cassette. This piece of song (Lalit) sung by Abdul Karim Khan I had played ~40 years ago on a gramophone machine with 78RPM record. If somone happens to know where to get mp3 format of this I’d ever remain grateful. Please try Patrick Moutal’s Indian Music Page. 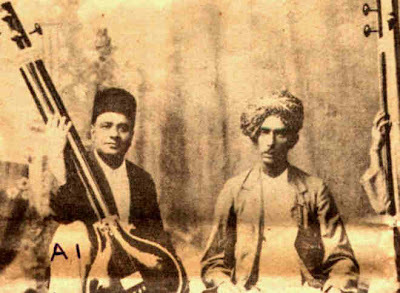 Recording of Rag “Lalit” sung by Abdul Karim Khan saheb in 1905 in MP3 format is available. You can find the music of Abdul Karim khan at the above website. Enjy! This is best search for me of Ustad Abdul karim khan Saheb. Pl change the label Bilawal to Yamani Bilawal.